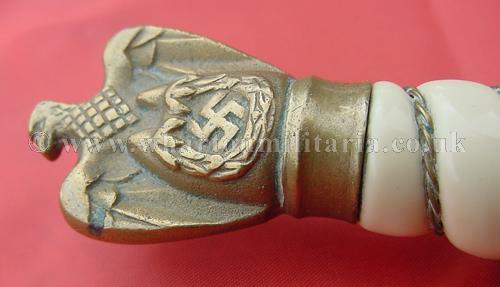 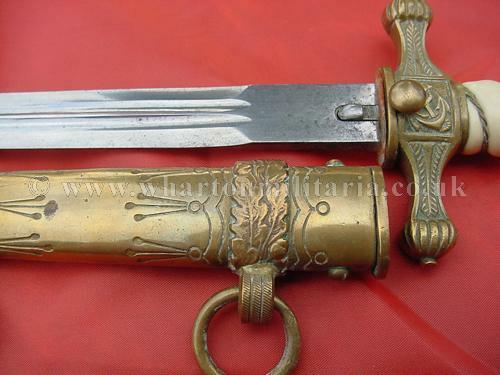 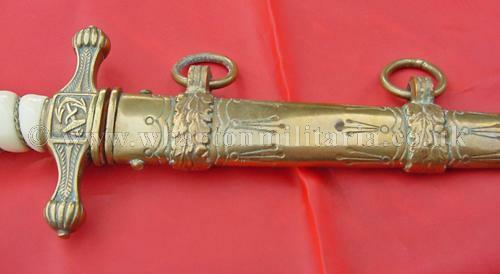 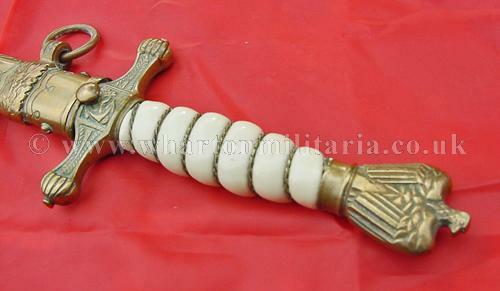 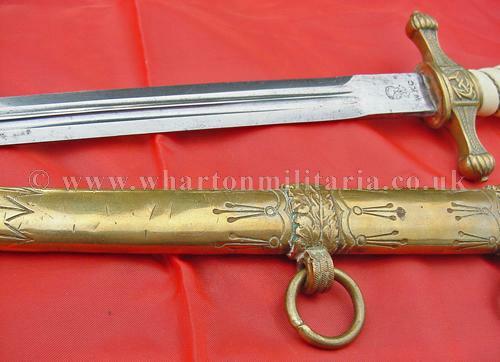 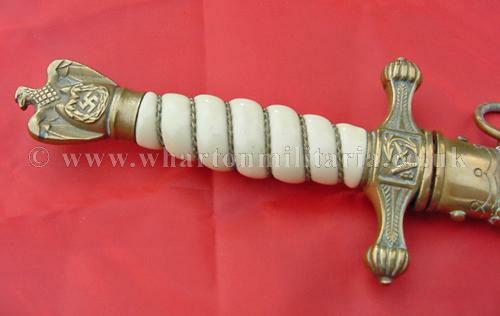 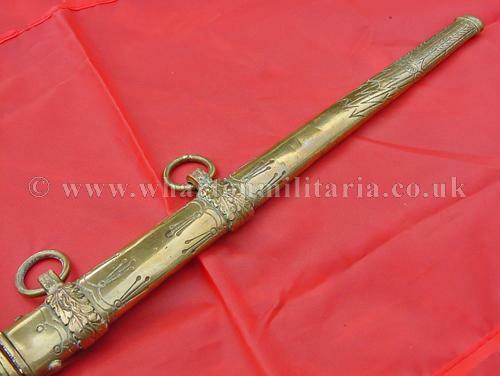 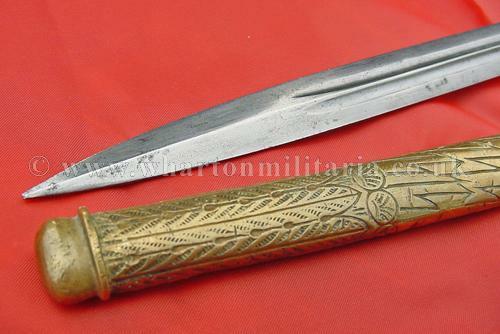 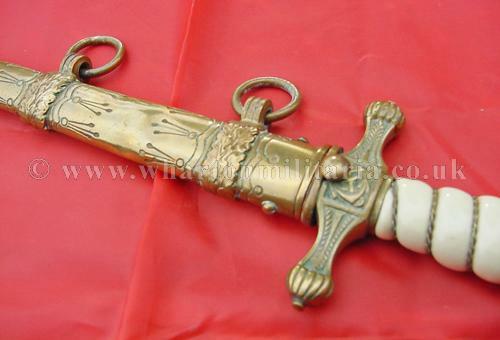 Kreigsmarine dagger by WKC, lovely Kriegsmarine dagger, brass scabbard and fittings. 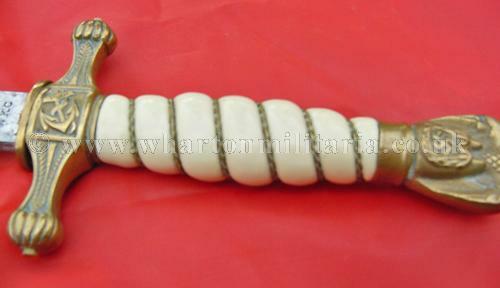 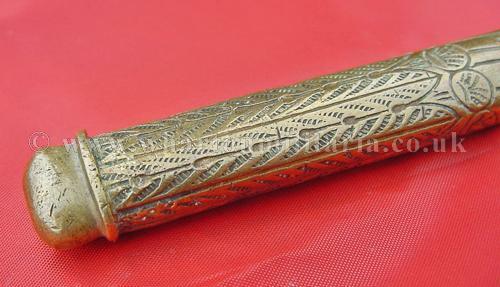 Cream celluloid grip has no chips or cracks. 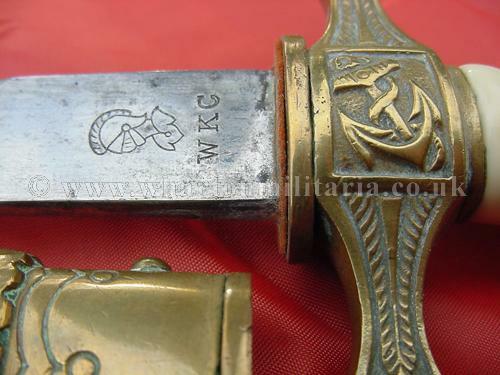 Blade is in excellent clean condition, an unetched plain blade which are not often seen, some marks to the blade upper near the WKC logo, see images. 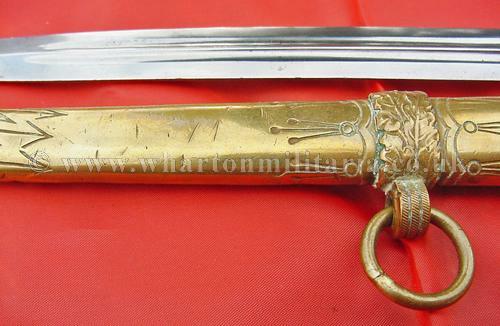 Scabbard has a couple of scratches and minor depressions rather than dents, overall fine condition. 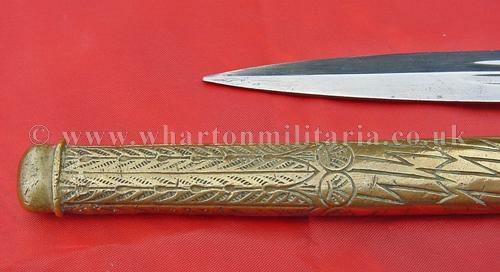 A nice Kreigsmarine dagger with a clean plain blade.